Making your employees feel comfortable can lead to renewed productivity after a break, and key to this is a relaxed seating area. Installing a mix of comfy chairs and sofas for people to chill-out on and enjoy a well-earned refreshment break can be just the thing that’s needed to allay any stresses from the workday. Similarly, placing a number of small tables around the area for lunchers to sit, eat and socialise can create a mood of togetherness too. If providing basic amenities such as tea and coffee facilities, kettle, toaster and microwave it’s important to make sure they are all clean, working properly and regularly PAT tested to comply with Health and Safety legislation. Vending machines should also be kept fully stocked and working and you won’t believe the buzz that can be created when their contents are switched every now and again. Though most employees use the kitchen area for socialising as well as eating, a TV can go a long way towards easing the work day pressure too and always provides conversation. Depending on the size, your social area should have something for everyone. If you want to tick all the boxes, you might chose to have bright lighting and a pool table and at the other end there could be a quiet area with subtle lighting for those who prefer to sit quietly, unwind a little and read during their break. Whatever style or accessories you populate your social area with, always make sure that staff keep it clean and tidy. When people come together it is not just to gossip around the water cooler! The time can be used to share knowledge, to mentor and encourage trainees and, most of all to bond together as a group. A well thought-out social area is a great way to facilitate all this and more. 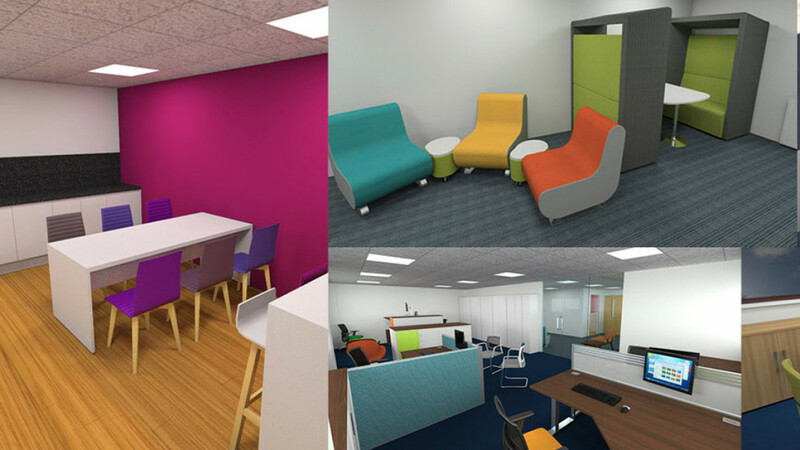 Egan Reid provide both schools and businesses with a range of stylish furniture options, ideal for your social areas.